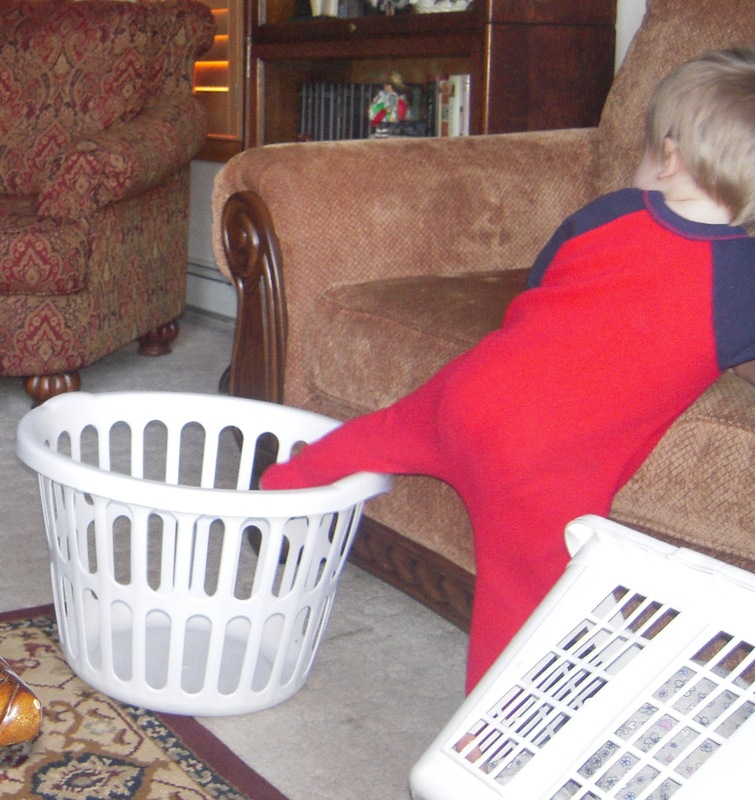 The best toys are things like empty laundry baskets. 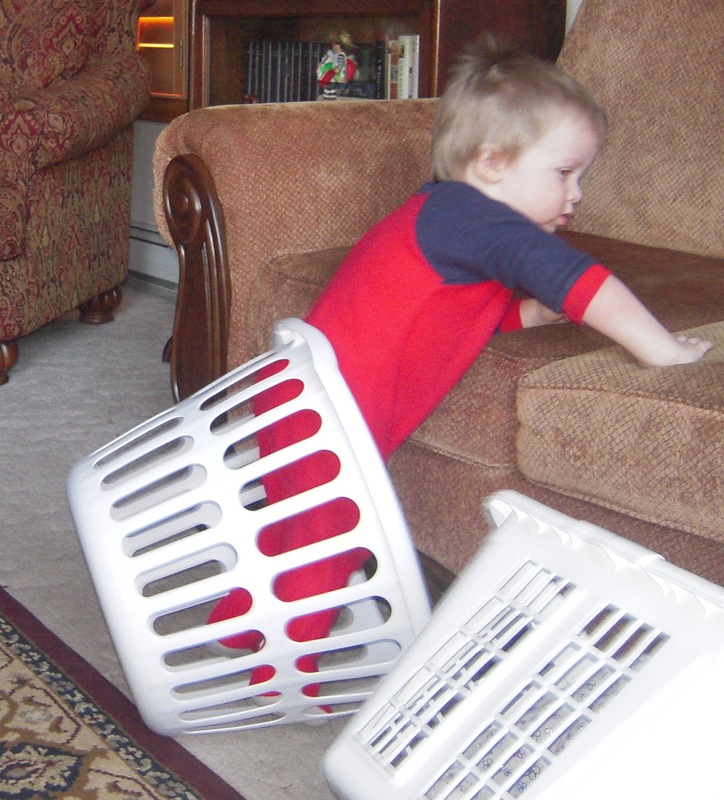 Will had a little trouble getting in his. Those short little legs cause some problems. He throughly enjoyed himself once he was in though. No idea what Kalena is doing with her hand. Showing you how much fun she’s having? 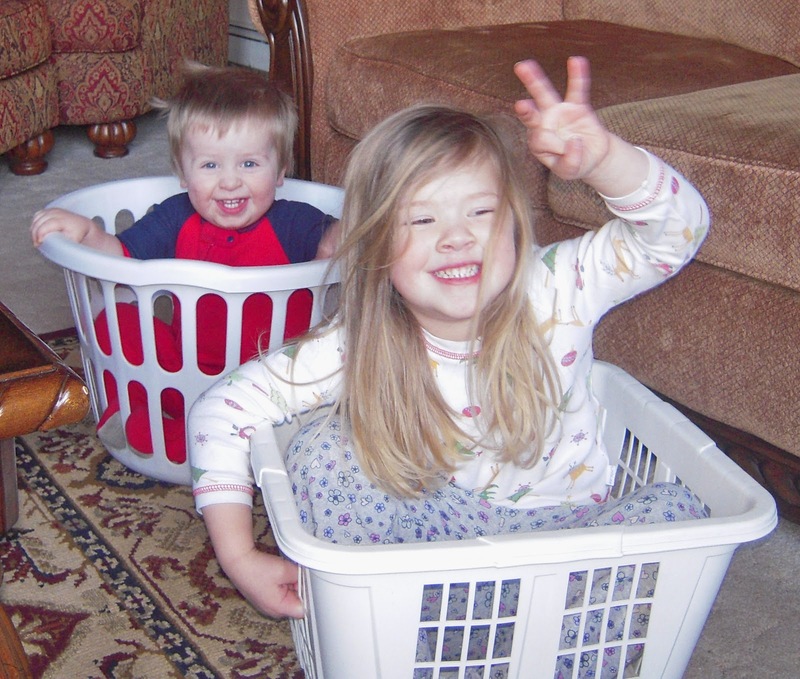 Life is good when there are laundry baskets around. Margaret likes to empty the fabric bins her toys are in and pretend they're her car. She gets in and drives. Look at Will's smile! So cute!! I think she's trying to tell you that you will need a third laundry basket pretty soon here. Looks like a train to me! Oh, Elsha. Their FACES! Their faces are just so adorable!